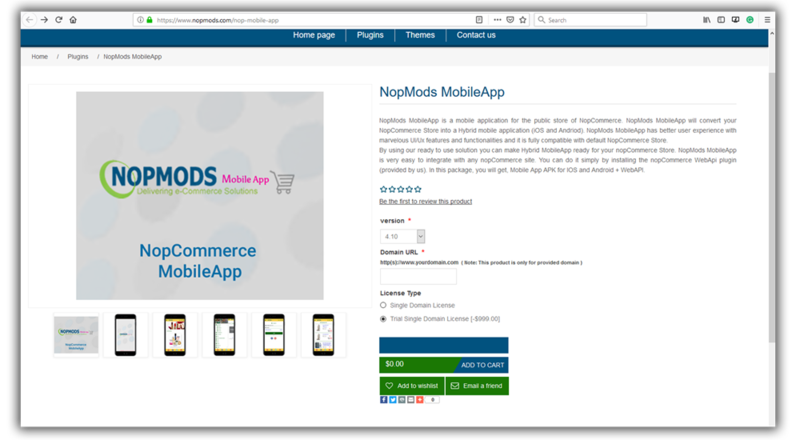 Home Page banner showing slider images added from NopCommerce Admin. 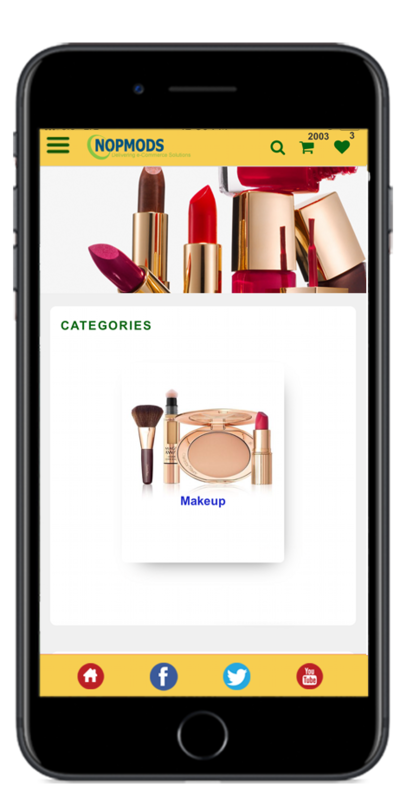 Categories: Main Categories displayed in Slider. My Account - Change user info, Change password, Check Orders and other option available in my account portion of default nopCommerce. 6 Checkout - Checkout process are almost same as default nopCommerce. Checkout process are almost same as default nopCommerce. 7 Login - User login process are almost same as default nopCommerce. User login process are almost same as default nopCommerce. 8 Wishlist - Add to wishlist, Update or delete from wishlist and move products to cart from wishlist. Add to wishlist, Update or delete from wishlist and move products to cart from wishlist. 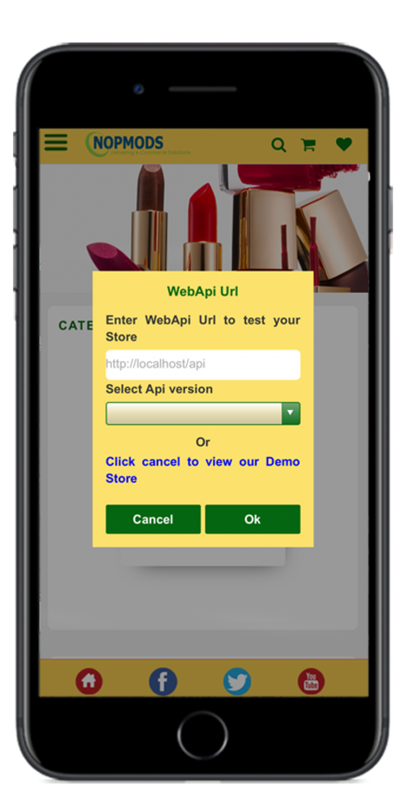 > Web API with license to use with APP. *After Purchase you will get the above mentioned resources with in 24-48 hours. > Web API with trial license valid for 7 days. 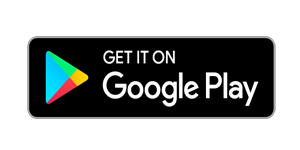 > Demo APK can be downloaded for Android and IOS from the respective store. 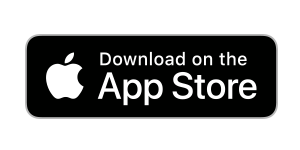 > Support to Publish APP on Google and Apple Store - Provide help in publishing apps on Google and Apple stores. 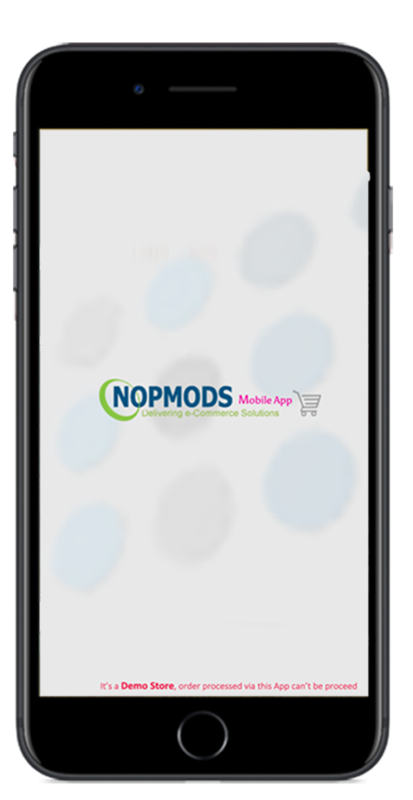 All the app store credentials and required details will be provided by the customer. > Customized Branding & Styling - Lauch screens, App Icon, Theme color changes as desired.